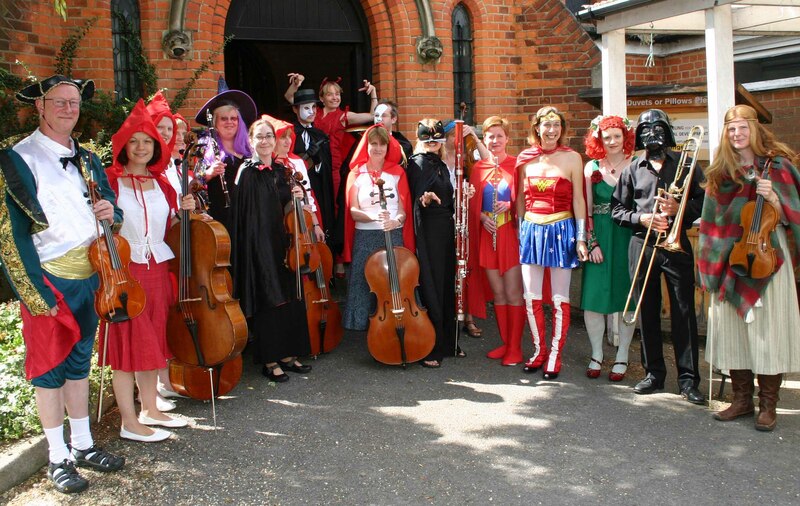 Noisy kids can look forward to fancy dress and musical mayhem on Sunday November 17th at St Albans Symphony Orchestra’s two annual concerts for children (2pm & 3.30pm, St Saviour’s Church, Sandpit Lane, St Albans). Children are invited to dress up as their favourite superhero, monster, or fairytale character for Red Riding Hood and the Three Fat Piggies: an adventure story in music specially devised by SASO’s conductor, Bjorn Bantock. By tradition, there will be an opportunity in the concert interval for them to try out the players’ instruments. Favourite film scores feature heavily in the programme, which includes music from Star Wars, Superman, the Pink Panther and James Bond. But the orchestra will also be introducing classical favourites, including Prokofiev’s Romeo and Juliet and an arrangement of Beethoven’s Für Elise. Bjorn Bantock is keeping some surprises back for the day, but hints that the story may call into question just how “little” Red Riding Hood really was. Mums and Dads may also notice intriguing new titles for the musical interludes such as Raiders of the Lost Pork Chop and Hairy Potts and the Cupboard of Spices. Tickets, price £1 (children) and £5 (accompanying grown-ups) are available from the SASO ticket secretary (01727 857422), tickets@saso.org.uk or on the door.